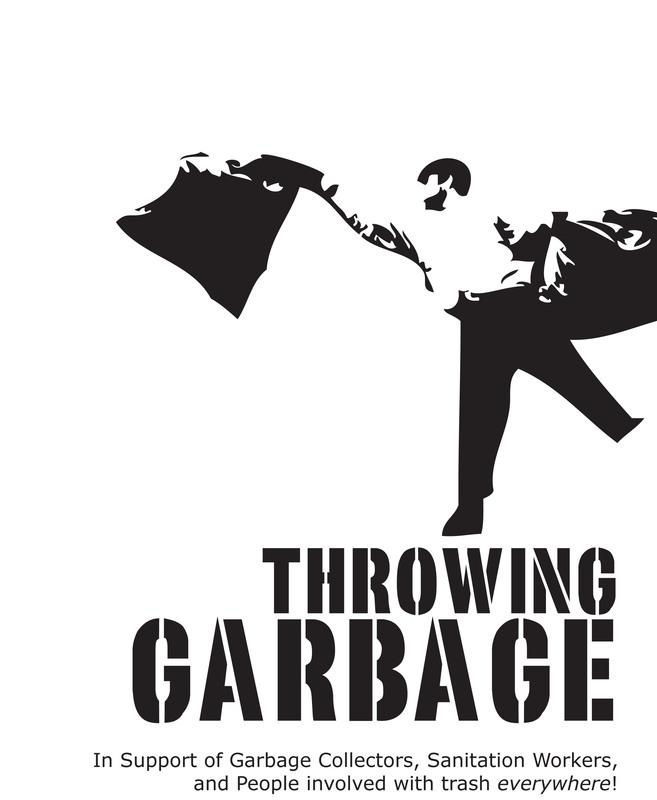 Introducing a new anarchist zine about garbage, Throwing Garbage! Includes labor history, radical history, the 1960’s Civil Rights movement, the Young Lords Organization, and is perfect for distributing to sanitation workers in your community! 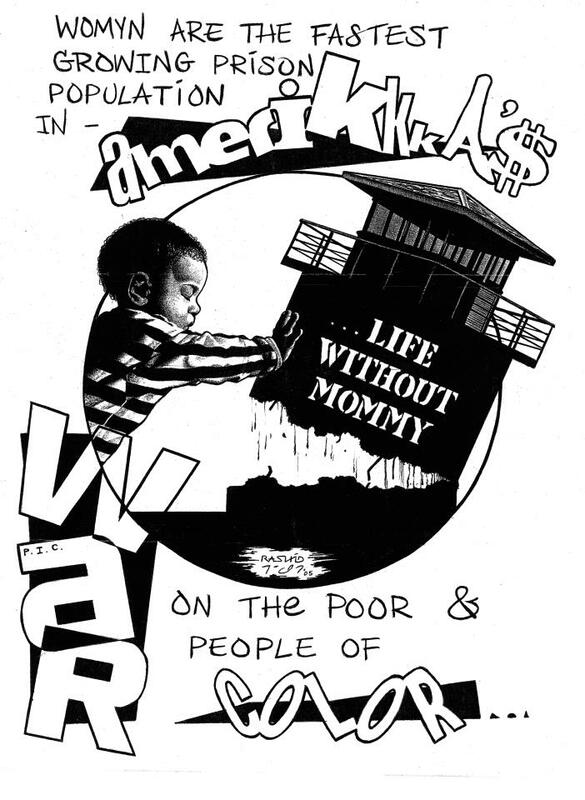 January Political Prisoners’ Birthday Poster from Chapel Hill Prison Books! This month’s prisoner birthday poster from Chapel Hill Prison Books people! Print and write to these prisoners this month! Start of 2012 with this new rad habit! New Books in Wingnut Library! Get your winter read on! Here are some of the new books we’ve added to the Wingnut Radical Lending Library! Our library has Open Hours on Wednesdays and Fridays from 4-9pm. You can search online at librarything.com/thewingnutrva to see what books we have to offer. Folks are welcome to check out books, but zines must stay in the space. ALERT: Kevin Rashid Johnson was assaulted by staff at Red Onion. He has a dislocated shoulder and is yet to receive proper medical attention. He had a large swath of hair pulled out. This occurred when he refused to turn his back on an officer as he came out of the exercise cage. Please contact Director of VA DOC, Harold Clarke (804) 674-3000 and Warden Randy Mathena of Red Onion (276)796-7510. We demand that Tony Adams is held accountable for these hostile actions against Rashid. We demand that Rashid no longer be a target because of his political work. This update came from the awesome organization SPARC- Supporting Prisoners and Acting for Radical Change. Croatan Earth First (from North Carolina) has organized a demonstration for next week against the lifting of Virginia’s Uranium mining ban. Please come out to support efforts to STOP nuclear power and environmental pollution and destruction. An hour North of Chapel Hill, a Canadian energy company is planning to mine for Uranium for use in Nuclear Energy. These is an extremely dangerous type of extraction and is a great risk to our water table, the Roanoke River Basin. The area in which the mining happens feeds into waterways that go to Virginia Beach, Eastern NC, Durham, Chapel Hill and Raleigh which are all downstream. This could contaminate our entire bioregion and water supply. Until recently, uranium mining has only been done in very remote areas. Mining inside of a community and right next to a waterway is nearly unprecedented. This would be the first mining project for uranium East of the Mississippi. 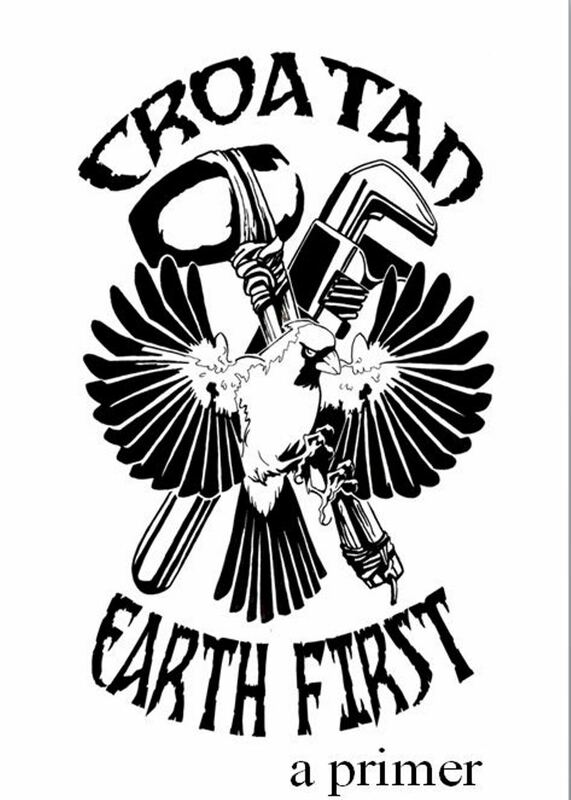 Prepare a written statement to make a comment against the lifting of the ban, and contact us asap by e-mail at croatanearthfirst (at) gmail.com to let us know you’d like to carpool to Richmond next Monday. For folks concerned about the new piece of legislation – the NDAA- and the possible consequences of it, we will be having a meeting on Monday night the 19th at Festival Park at 6pm. Festival Park is open until 3am, and is fairly well lit. 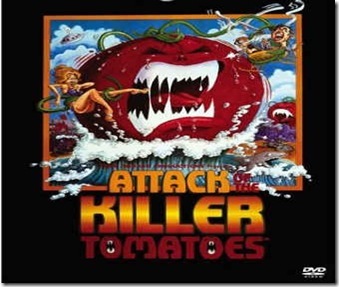 It is located next to the Richmond Coliseum. If you are feeling scared, mad, upset, anxious, etc. you don’t have to deal with NDAA alone (now this sounds like a cheesy infomercial). We want to talk about exactly what NDAA entails, what concerns us, and what we think we can do about it. Tell your friends, tell your coworkers, let’s come together to deal with this horrendous law. 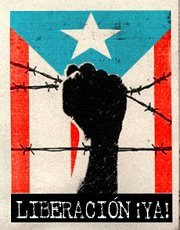 Luis Oyola will be hosting a slide show presentation at the Wingnut Anarchist Collective on Wednesday December 28th at 5:30pm on certain highlights of the decolonization struggles in Puerto Rico, as well as expansions of repression in the island. It will by no means be, or pretend to be, a full objective history of Puerto Rico. There are many interwoven struggles going on dealing with labor, housing, ecological destruction, gender violence, education, etc., and so it’s impossible to give each their deserved attention within an hour-long event. There is also plenty material coming from a purely factual stance elsewhere. This story will start from the Real Cedula de Gracias in 1815, and will cover various struggles up until the adoption of the ELA constitution in 1952, through the history of the Macheteros, and a spotlight on three big events of the past decade: the fight against US Navy occupation of Vieques, the assassination of Filiberto Ojeda, and the 2010 UPR strike. The Wingnut Anarchist Collective and the Central Virginia Foodbank teamed up again this past Saturday for the Southern Barton Heights Mobile Food Pantry. We’ve been doing this monthly event for over a year now, bringing groceries to Southern Barton Heights for the benefit of our community. Members of the Wingnut facilitate the program, but folks from the neighborhood participate in the actual distribution. We’ve been working on how the program functions as well. We had 200 people signed up for vouchers. The total number of members of households in Southern Barton Heights who benefit from this grocery distribution are below. The next Mobile Food Pantry will be in January on the 2nd Saturday of the month at 1pm. This event happens at North Avenue and West Graham in the raised parking lot next to the Goal Post restaurant. We can always use help setting up starting at 12. We have a list of addresses of folks who have vouchers, and also a waiting list for folks in the area we will get vouchers to if/when we can. A little over a year ago the Wingnut decided to partner up with the food bank to make the mobile food pantry happen in Southern Barton Heights. It’s gone on for over a year now, and while it’s been good in some ways, it’s also had problems. One of the big problems for us is that we’re anarchist activists, and we don’t really have any experience running a program like this and we’ve made a bunch of mistakes. People who were supposed to get vouchers didn’t, people who shouldn’t have gotten vouchers have them. There’s been a good deal of miscommunication about how this is supposed to work and so on. This stuff is our fault, and we;re sorry that any of y’all haven’t gotten what you expected or deserved out of it. The food bank sends a truck out to our neighborhood, and they know that they have enough space in the truck to provide 200 servings of food. These vouchers are promises to you that if you show up anytime before we start handing stuff out to the folks that are in the non-voucher line you’ll get food. If you don’t have a voucher, you can still get food if there is stuff left after the first 200 meals (there usually is). We’re not going to do paper vouchers at all anymore, but we’re just going to rely on what’s on the list. If you are not on the voucher list, we’re restarting the waiting list as of today. 1. People who are in Southern Barton Heights are the only ones who are going to get vouchers from here on out. 2. If you can’t make it to the food pantry 2 times in a row, you get dropped from the voucher list, but you’ll be able to get back in the waiting list if you want. 3. The waiting list is getting restarted today (December 10th 2011), if you were on any previous waiting list you need to sign up again. 4. From now on, it’s going to be one trip through the line per voucher. If you have 2 cvouchers because you sre picking up for a firend or whatever, you’re going to need to go through the line twice. This is kind of a pain, but we’ve had a lot of problems with this in the past. Please come talk to us if you have any ideas for how to make this thing run berrer, or if you want to get involved with running it!